Whether you are new to gardening or have been gardening a while, you probably know how important it is to have a plan for your garden each year. I know I try to do a good job tracking what seeds I germinate and grow or where the plants I purchased came from, but sometimes I don’t because until now I just never had anywhere to write it down. 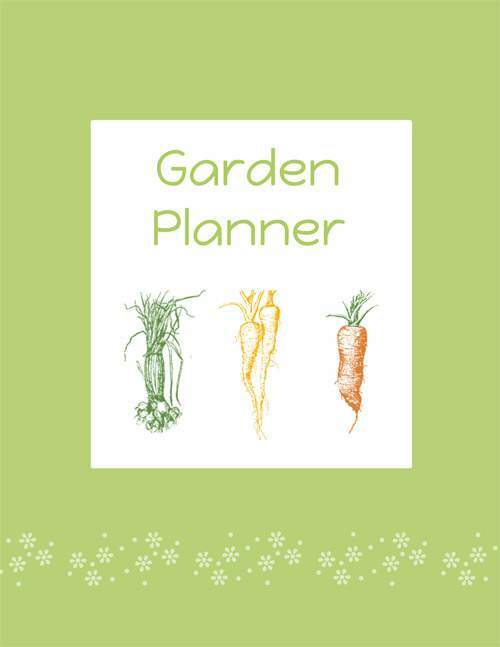 This year I knew I wanted to make a change in how I tracked my garden efforts and this garden planner is what I’ll be using. Who is this Garden Planner For? This is for any gardener who wants to track their garden through the growing season. From tracking how your seedlings do all the way through harvest. There is a sheet for expense tracking so you know how much you are spending on your garden. I’ve even included fertilizer/amendment tracker so you can track how well a certain fertilizer or amendment did in your garden, so you’ll know if you want to stick with it or try something new. 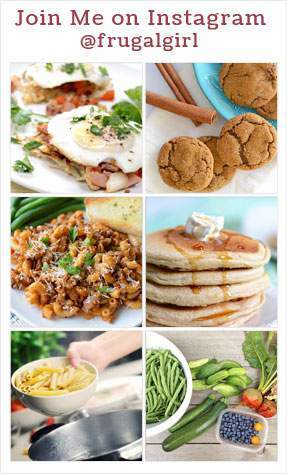 What Does the Garden Planner Contain? It contains 13 sheets to record everything from your garden expense budget to how the harvest went and everything in between. It also contains a front and back cover as well as a spine that can be printed to be added to your own 3 ring binder. If you want to keep a record from year to year print out the pages you want in your planner, then print the front and back cover on card stock paper and have them laminated for a more permanent record. You could print a new one for each garden year. 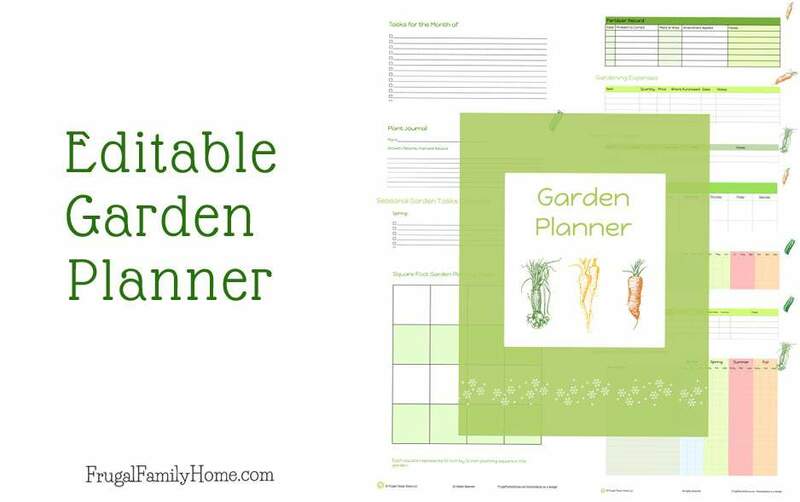 The best part about this garden planner is that it is editable. On each page, there are boxes you can fill in with your own information to edit them before printing the page out. This makes for less handwriting after printing. But if you would rather print the pages and then fill in your information, no problem you can use it either way. 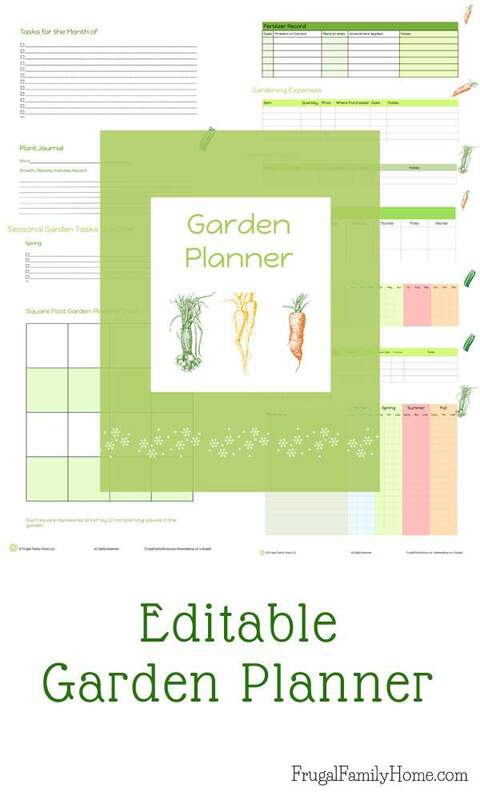 If you would like to get started planning or tracking your garden this year you can get the editable garden planner for just $2.99. 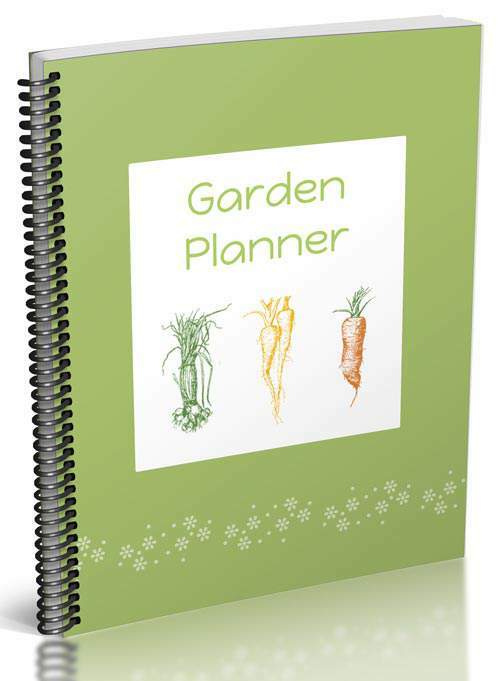 This garden planner contains 13 sheets to record everything from your garden expense budget to how the harvest went and everything in between.